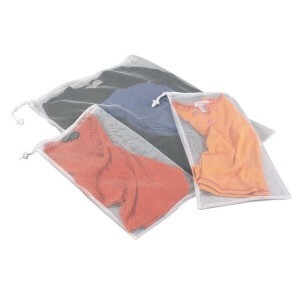 These soft polyester mesh bags protect fine washables from snags and tangling. Bags feature drawstring closures with cordlocks. Set includes two lingerie and one sweater bag. 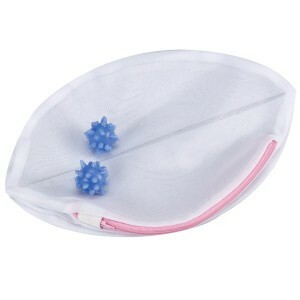 This dual bra wash bag is a safe way to launder your most delicate items. 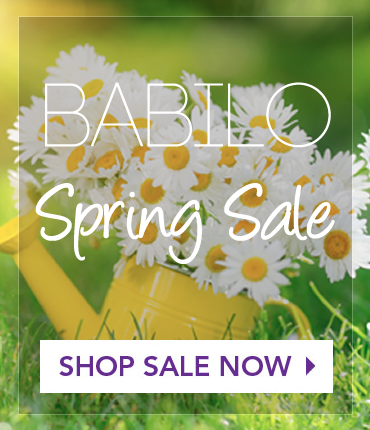 It features two zippered compartments, so you can wash more than one delicate item at a time without fear of tangles. 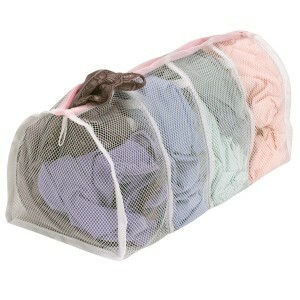 This hosiery wash bag has four separate compartments for individual protection of each item. 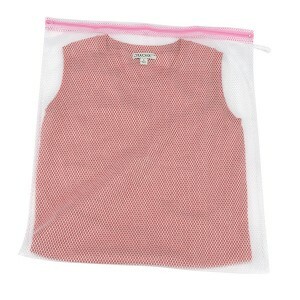 A sturdy polyester mesh covers delicates while washing. Interior dividers separate items so your lingerie will never come out of the wash tangeled and knotted. Lightweight laundry bag. Mesh top allows for air flow. Great for transporting laundry anywhere. Folds away for storage in a drawer or on a shelf when not in use. 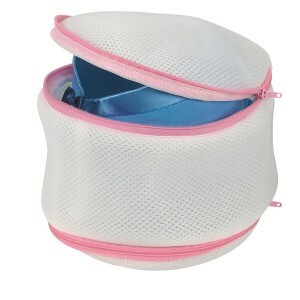 Mesh bag with nylon zipper is ideal for pantyhose, slips and other delicate washables. Bag protects valuable lingerie from harsh washing cycles. 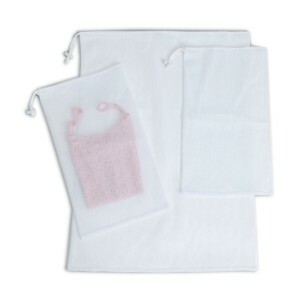 This lingerie bag is a safe way to launder your most delicate items. The washing balls help to clean by gently rubbing the clothes, simulating hand washing. The interior divider is made from a fine weave mesh that prevents hooks and wires from snagging. 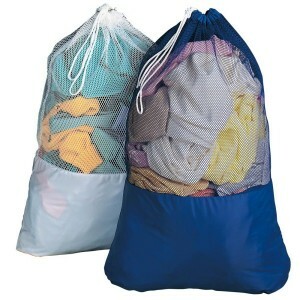 Mesh bag with nylon zipper eliminates the need for separate washing cycles. Bag protects valuable sweaters from harsh washing cycles.